Sandra Sellani is a marketing and branding consultant and vegan food blogger. 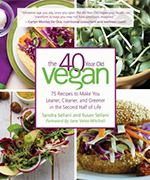 Her latest book, The Forty-Year-Old Vegan (2017), was co-authored with her twin sister, Susan, and is the winner of an International Book Award, a Green Book Award and a Reader's Choice Award. It was also named by PETA (People for the Ethical Treatment of Animals) as one of the top cookbooks of 2017. 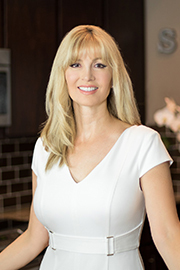 Sellani is a vegan food enthusiast who completed her culinary training at Matthew Kenney Culinary Academy in Los Angeles. She is currently a weekly guest host on Jane Velez-Mitchell’s interactive cooking show, LunchBreak Live, which airs Sundays on Facebook. Sellani also has an M.B.A. from Pepperdine University, and her first book, What’s Your BQ? (Brand Quotient®), was the nonfiction winner of the 2008 DIY Book Festival in Los Angeles, and received an honorable mention at the 2008 DIY Book Festival in London. What’s Your BQ? outlines Sellani’s proprietary method for building brands from the ground up; it is ideal for small and medium-sized businesses or individuals interested in building powerful, inimitable brands. Sellani lives in Newport Beach, California.